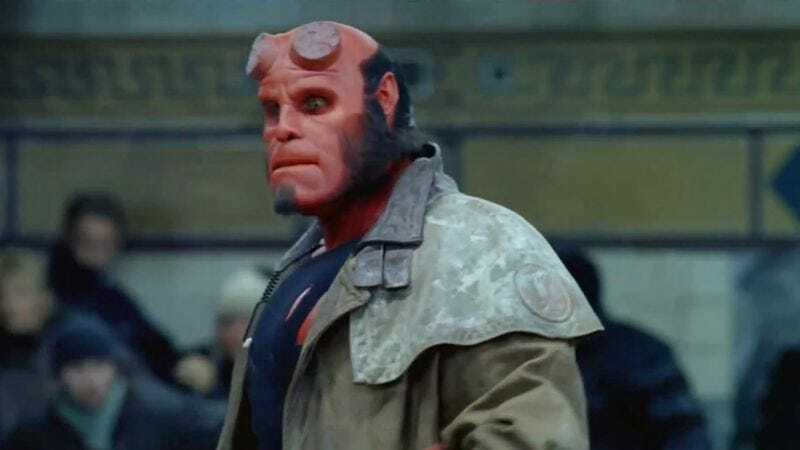 We probably won’t be seeing a third Hellboy movie any time soon, but fans of almost being able to see Ron Perlman’s handsome face through layers of prosthetic makeup and/or computer animation may soon be able to see him under a different layer of makeup and/or animation. That’s because The Hollywood Reporter says Perlman has signed on to join the Harry Potter spinoff Fantastic Beasts And Where To Find Them. We don’t have any specifics, but THR’s sources say that he’ll apparently be playing a goblin, which we hope means he’ll be one of those tall, red goblins with shaved-off horns that you don’t hear too much about in the books. Whatever the creature he’s playing will look like, Perlman will be joining Eddie Redmayne, Katherine Waterston, Ezra Miller, Alison Sudol, and Colin Farrell. THR adds that Gemma Chan, Carmen Ejogo, and Jon Voight will also be there, but there’s no word on what kind of supernatural creatures they’ll be playing. Maybe some hippogriffs? They pop up in Harry Potter.